Hey! 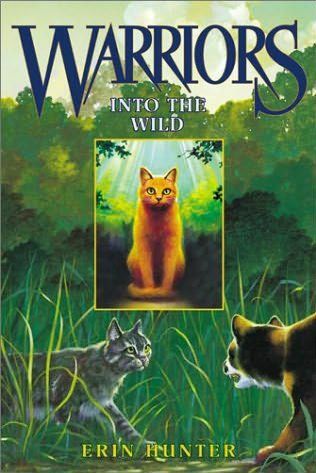 Have y'all ever heard of the Warriors book series by Erin Hunter? They are a really great book series if you haven't read them. They are about ferrel cats who live in clans and they deal with problems that arrise. I know it doesn't sound that good but its actually quite good. You can realate to the characters because they deal with regular issues that people deal with. Some Themes that are in the book are Forbidden Love, reaction of diffrent faiths, "Shades of Gray"(good and evil), family, death, grief, following rules, and destiny. They are quick books to read. There are 4 sub- series in the main series each with about 6 books plus special editon books which encompass a side story ( these are typically around 500-600 pages) I'm currently reading one of the special edition books and let me tell you it has been pulling at my heart! It can be sad one moment and happy the next! Now if you don't really like dealing with death, don't read these books because death is a major theme in the book. But all in all they are fantastic! definatly read them if you get the chance!